Food safety, food and feed hygiene, animal health. 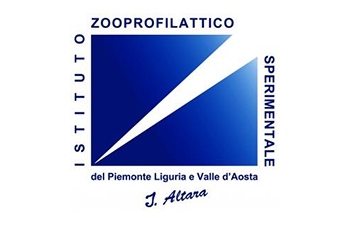 The Istituto Zooprofilattico Sperimentale del Piemonte, Liguria e Valle d’Aosta is an health government body founded in 1912. The Institute provides a wide range of services for clients from both the public and the private sector: main tasks are to guarantee consumer’s health by protecting animal population health and welfare and by improving and controlling food and feed production. Within its areas of competence, the Institute carries out surveillance of potential risk to consumers and collaborates in supporting regional and national authorities on the implementation of appropriate prevention strategies, in epidemiological analysis, food hygiene and environmental control activity and research activity. While pursuing common policies with the nine other Istituto Zooprofilattico in Italy, the Institute primarily focuses on issues relevant to the specific problems of the three regions it serves. From its headquarters in Turin, the Institute functions as the hub for a network of ten provincial offices throughout the regions of Piedmont, Liguria and the Valle d’Aosta. Some 400 people work here, including veterinarians, chemists, biologists, statisticians, laboratory technicians, IT support and administrative staff. The Institute coordinates four National References Centres which are laboratories designated by the Italian Health Ministry to provide scientific advice and technical support for ministerial or regional bodies on the main issues relating of feed and food law and animal health where there is a need for precise analytical results. Moreover, at the Institute are settled six National Reference Laboratories which collaborate with the European Community reference laboratory in their area of competence, and the Epidemiological Service (Osservatorio Epidemiologico) of the Regione Piemonte Veterinary Services in charge of data analysis and reporting. Our Institute closely cooperates with many different international research centers.